It wasn’t a pretty sight. The team went down 10-1 in a friendly match against a much more experienced side today. No one expected to win, but the overall mood after the game was sombre. Truth be told, the past couple of weeks have been rough. Petty rivalries, injuries, personality clashes… Wai Tung’s had to deal with more than his fair share of drama. One consolation – most of the goals were conceded during the first half of the match. During the break, the score was 8-0. A pep talk and the fear of being utterly humiliated must have helped. Chor Pat, the goalkeeper let in just two more goals after that. And when Ah Hung’s ball found the net, the relief was palpable. Still, today’s drubbing is nothing, if not a wake-up call. 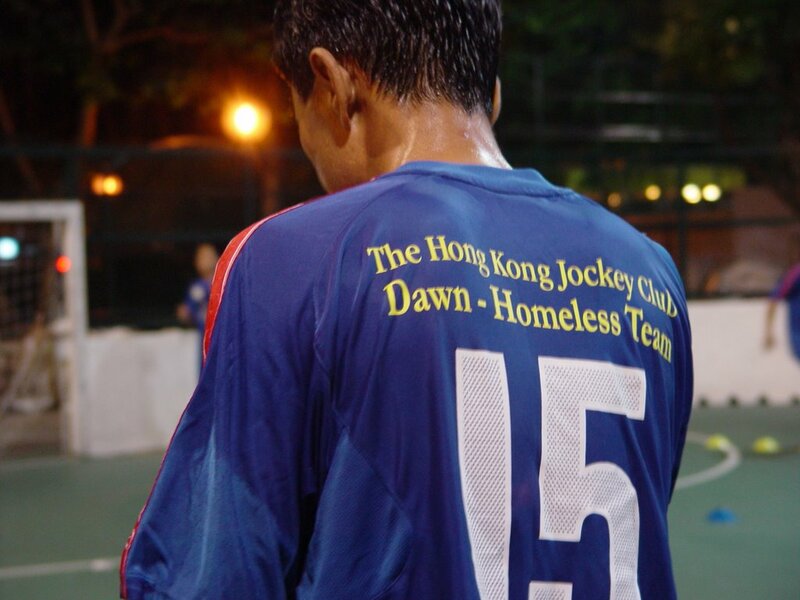 Two more weeks to the Homeless World Cup. Lots of work to do. Previous postThe Concept of Space Next postWhere is Juimao?